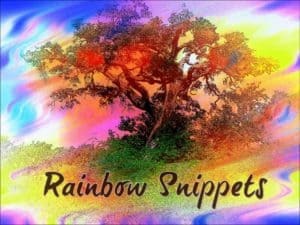 If you’re new to the snips circuit or have found me by accident…Rainbow Snippets is a Facebook group where GLTBQ writers post snippets of their work every Saturday. There are snips from every genre, kind of pairing and heat level from sweet to steamy. Click here to join us for some great, intriguing glimpses! Hello, snippeteers! I hope you all have a lovely Saturday. My week was busy and just fractionally crazy. And…. I suddenly realised that I needed to start planning promotion, so I had to go and choose a release date for Undercover Star. So, let’s continue with a snip from Matisse & Josh’s story. To recap, Detective Inspector Josh Ingram is hunting an art thief. He needs the help of pop idol Matisse Vervein to get access to Kilbride House, where he’s set a trap for the thief. Here, the two are checking out the jewellery room at the venue. “Not.” Matisse pulled a pin from his boot and stuck it in the lock of the display case. Moments later, the lock clicked. Hahaha! I don’t think that was his best move. Oopsie! That’s what you get for showing off. Now what are they going to do? No, he wasn’t. I had great fun imagining Josh’s face. Hahaha…oops. Well, at least there’s some level of security even if he was right about that hairpin! What a fun snippet! Though I’m wondering how they’re going to get out of this!